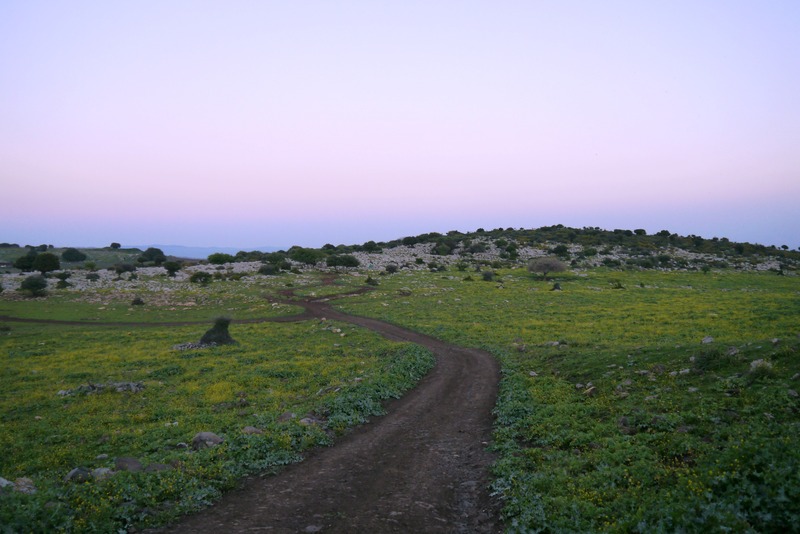 A year and a half ago, while home after my several military adventures in the Golan, I went on an “extreme” trip with my old army friend Nechemya. 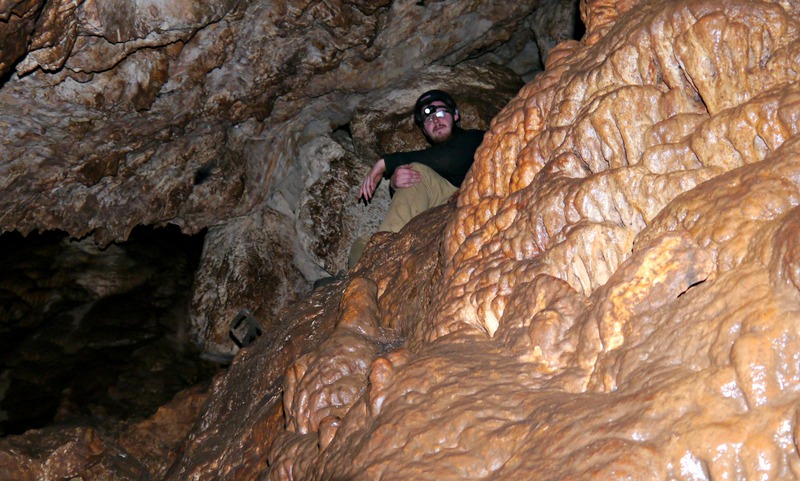 As we share an interest in caves, I had selected a certain cave to be the subject of our adventure – Alma Cave. 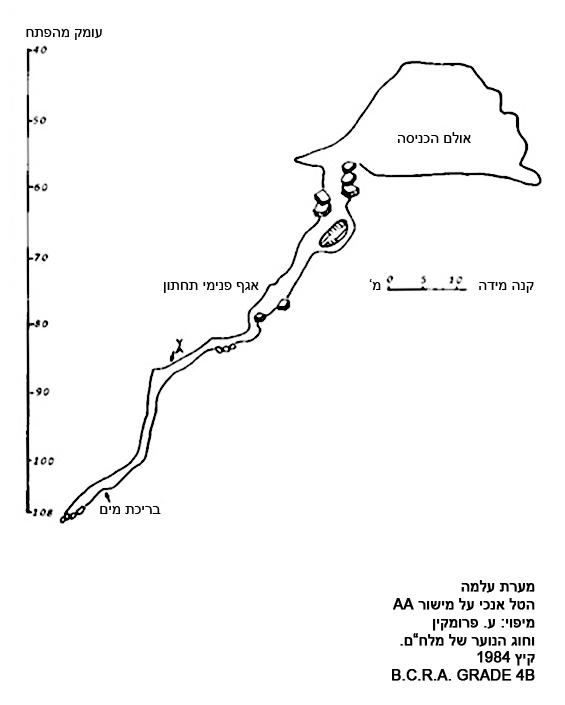 Located just north of Tzfat (Safed) beside the Jewish community of Alma and opposite the Circassian village of Rehanyia, the cave is a short hike from the main road. Parking the car near some cow-sheds, we gathered up all our necessary gear in two backpacks and struck out for the trail. With a general lack of trees in the area, it was relatively straightforward where we needed to go, especially with a satellite picture to guide us. Flanked by Hatzor Stream and the mountain ridge above it, we traversed a marshy seasonal stream and climbed to higher ground. What amazed me was the quantity of cow bones, mostly bleached white from sun exposure – however there was one particularly grotesque sheep carcass in early to mid stages of decomposition. 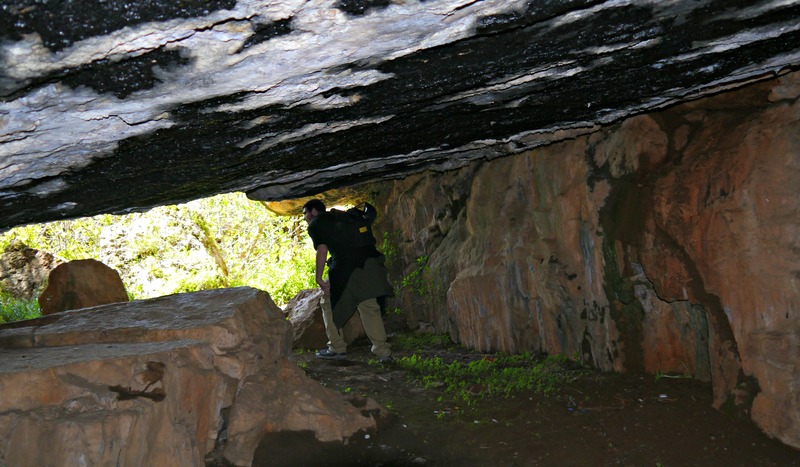 After the short walk we descended a bit to the large rocky karst patch of land where the cave’s mouth was hidden. 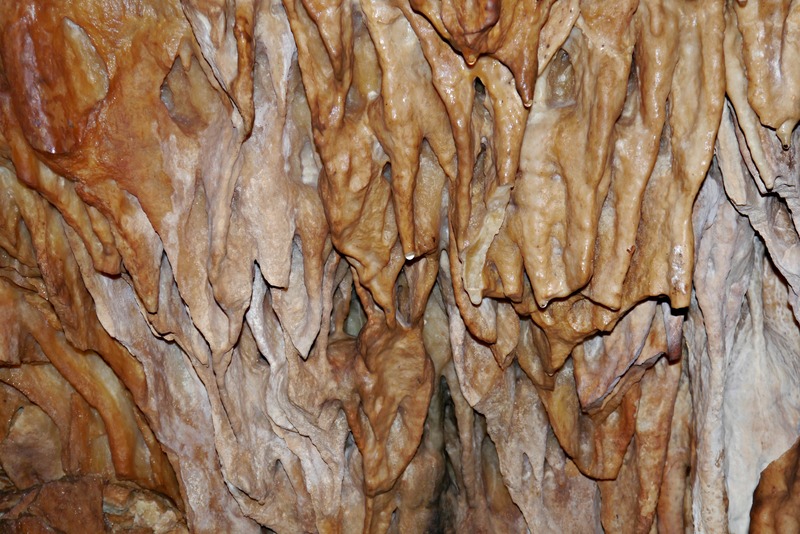 Finding the slow descent into the opening cavern, we used the metal handles and fig branches to navigate downwards. 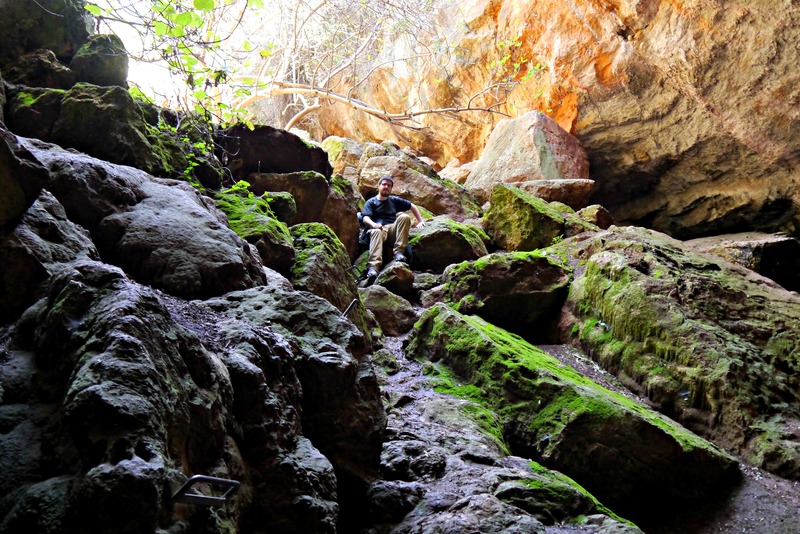 Passing a small side cave beautifully adorned with dry speleothems, we reached the cave’s impressive entrance cavern. 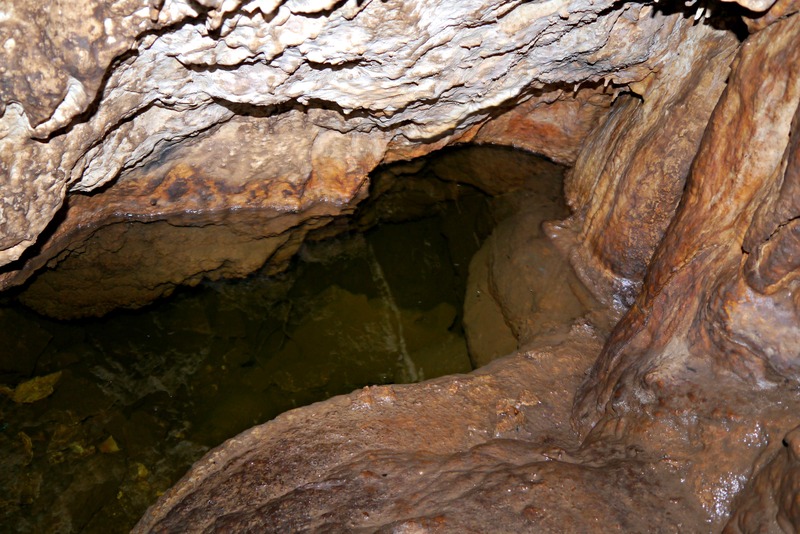 With the cave located on a geological line between the Dalton and Alma plateaus, the gathering water seeps down and erodes the soft rock, creating the labyrinth of cracks, fissures, tunnels and underground chambers. While we marveled at the size of the entrance hall, we had a quick bite to eat and prepped our gear. In addition to the mandatory headlamps, we brought helmets, an emergency flashlight and extra batteries as well as a whole bunch of climbing rope in case we needed to rappel deeper into the bowels of the cave. But, perhaps most excitingly, Nechemya brought a GoPro camera and affixed it to the top of his helmet to properly document the spelunking. Zipped up warm and ready to go, we used the metal handles planted in the rocks to drop down into the cave’s dark continuation. We turned around in the darkness, illuminating an underground world with our headlamps. 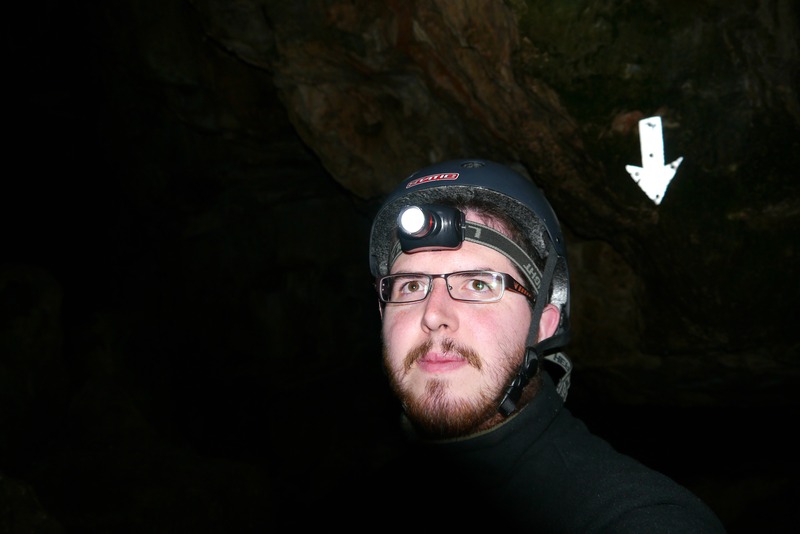 Following the white reflective markers, we began the approximate 500 metre journey to the bottom of the cave. 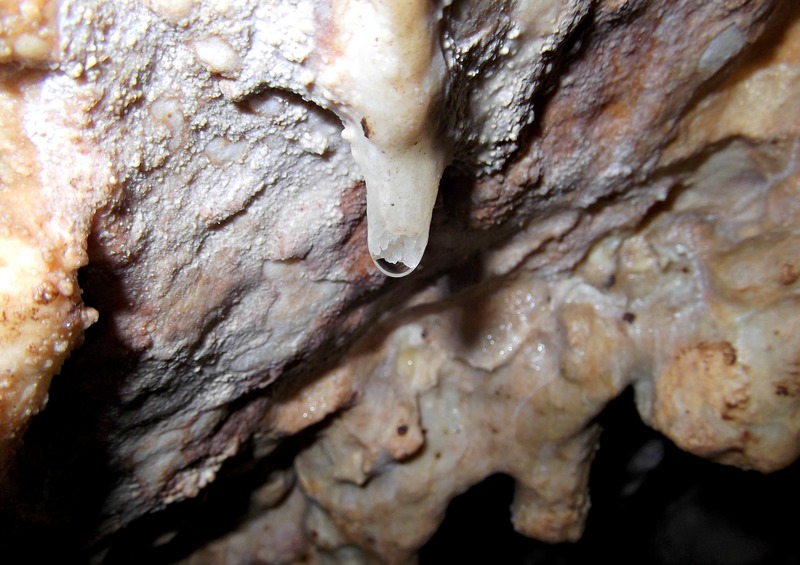 The deeper we got, the damper it got and we were dripped on by the cave’s mineral-rich water deposits. Sticking to the marked route, we passed many side chambers and tunnels which filled us with intrigue. 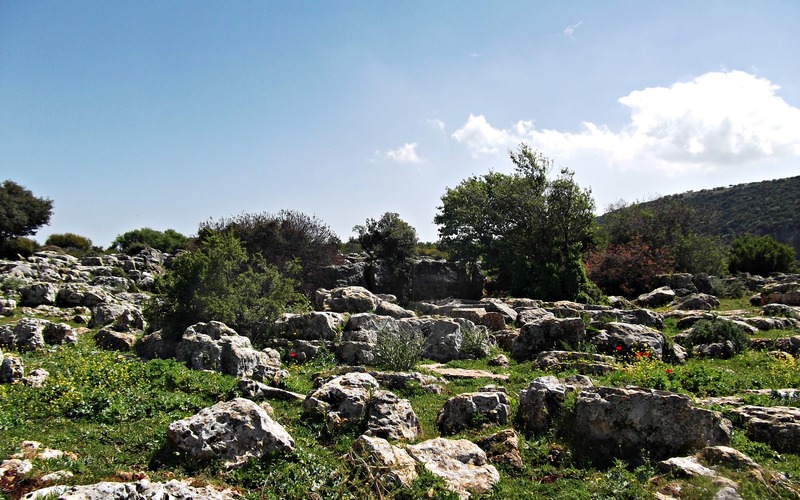 Legends run wild with Alma Cave – stories of hundreds of thousands of graves, an endless interior and more – in fact, the cave is also known as the Babylonian Cave and the Abyss Cave. Plunging even deeper into the ground, the rocks we stepped on were found to be slick with mud, hazardous in their own right. After an hour or so of descent we finally reached the blue sign marking the end of the line, but we were not going to let that stop us. We slid down a wet slope, beside a rather large cave growth, and found the little underground spring of crystal-clear water. At this point we were some 105 metres (345 feet) below the surface but we saw that there was still room to go further. And so we did, sliding down another couple metres before deciding to turn out the lights and sit in the cool darkness for a spell. Once the chill set in, as we were rather far underground, we decided it was time to leave the cold clammy embrace of the cave’s lowest marked chamber and to strike for the surface. The way up was far faster and easier than the descent, and we spend more time peering into side chambers and tunnels, wondering where they led to. 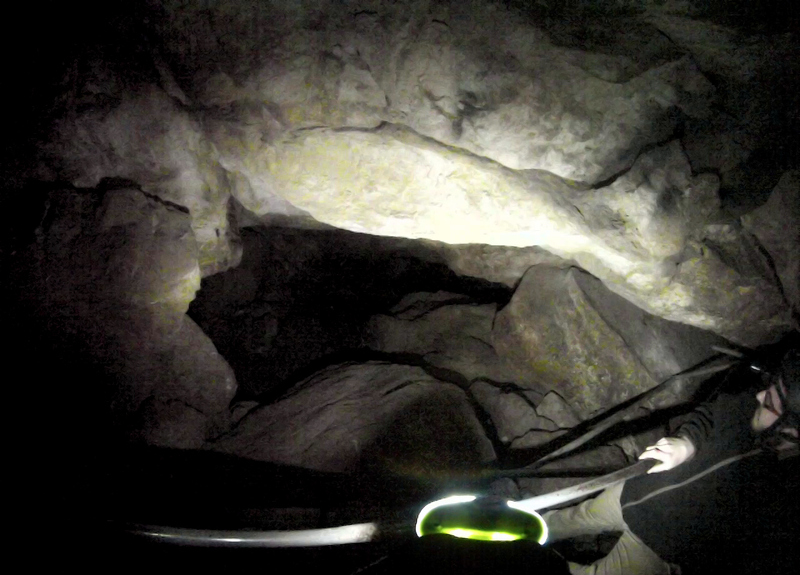 It was only on the ascent that we successfully got GoPro footage, although unfortunately it came out rather “tunnel-vision-like” with the sole headlamp on Nechemya’s helmet providing light. So I went through the approximate 43 minutes of underground footage, which was a sizable 3.76 GB, and decided that I couldn’t be bothered trying to make a video of it. When we at last reached the surface, we repacked our equipment and belongings, to the sounds of the cooing and flapping of pigeons in the background. Equipment stowed, we climbed out of the entrance cavern and sprawled on the soft green grass to enjoy the warmth of the sun on our cold bodies. I was laying on my back with a jacket sleeve over most of my eyes when I saw a furry beast trot by just metres in front of me. I lurched up with a cry as I watched the unsuspecting jackal run for cover. 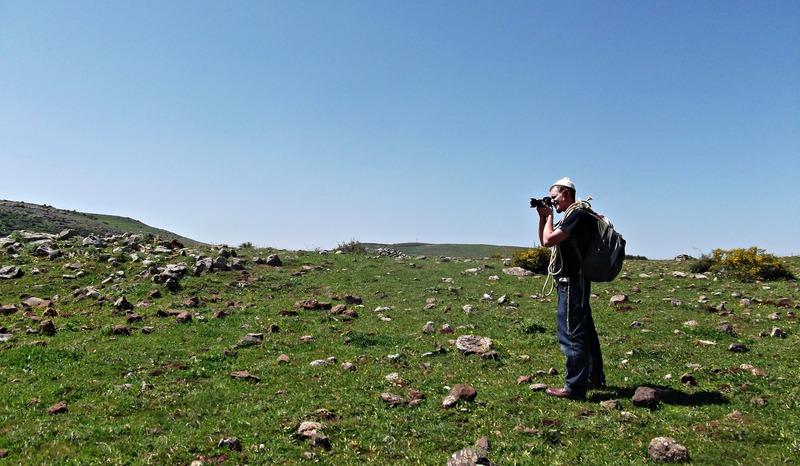 Leaping up with Nechemya’s camera in my hand I pursued the jackal, seeing the rest of his pack converge to the north. Watching their movements, I raced across the top of the hill to cut them off to the northeast. 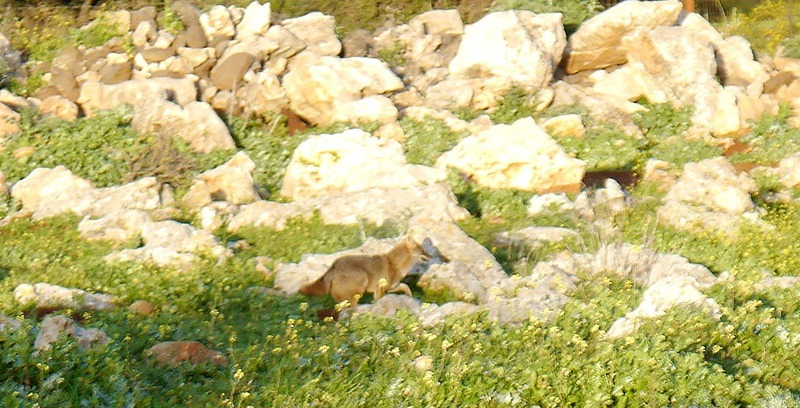 Just as I suspected, five or six jackals ran by and I was able to get this semi-decent photo of one in my ambush. I soon lost track of the jackals and returned to Nechemya where we had a quick bite to eat in the quickly setting sun. Walking back the way we came, I nabbed the two bleached cow skulls that we had passed earlier and we got back to car at dusk.